Undoubtedly Aston Martin DB9 is one of the prettiest cars money can buy today, and with its top down, it’s become just exquisite. However, there’s still some ways to make it even better! And a very good way is to use the new Wheelsandmore kit for the car. 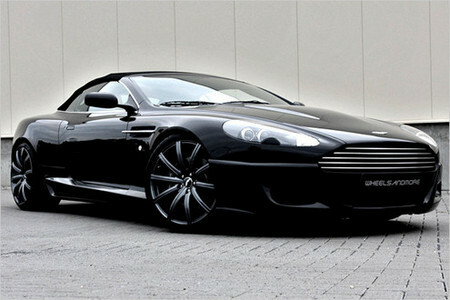 They’ve come up with a very cool and very discrete package for it that boosts Aston’s natural qualities. 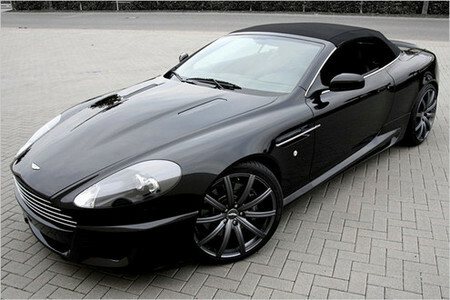 Wheelsandmore has fitted the DB9 Volante with new spoiler lips at front, sport side skirts and bootlid spoiler. These small changes improves the cars sighting significantly. Furthermore the tuner has installed 20-inch KAHN wheels on the car which look fantastic. They are covered with 255 tires at front and 285 at the rear. When you are done adoring the car’s appearance, it’s time to start praising its engine! Because Wheelsandmore has tweaked that as well, and they’ve done it good. It has 536 hp and 650 Nm of torque. It’s achieved by modifying the car’s ECU software and installing a new high performance exhaust system which has active flap mufflers, that changes the car’s noise via a button inside the cabin!